← Heidi’s Happy Birthday Weekend! Today I’m feeling sad. The sky is overcast and cloudy. 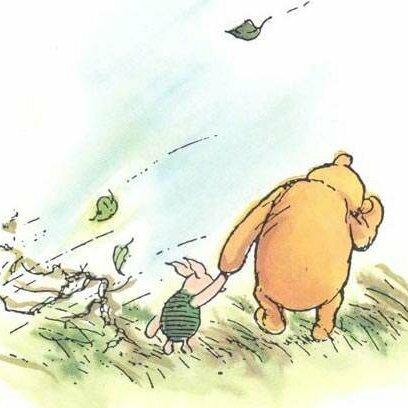 It’s what Pooh would call “a Blustery Day.” Or he might say, “Happy Winds-day” to friends passing by. I’m watching all the leaves blow and swirl as they let go. I’m not ready to say goodbye to Fall. Daylight Savings will change this week and we will be forced to hunker down into the darker hours and colder weather. 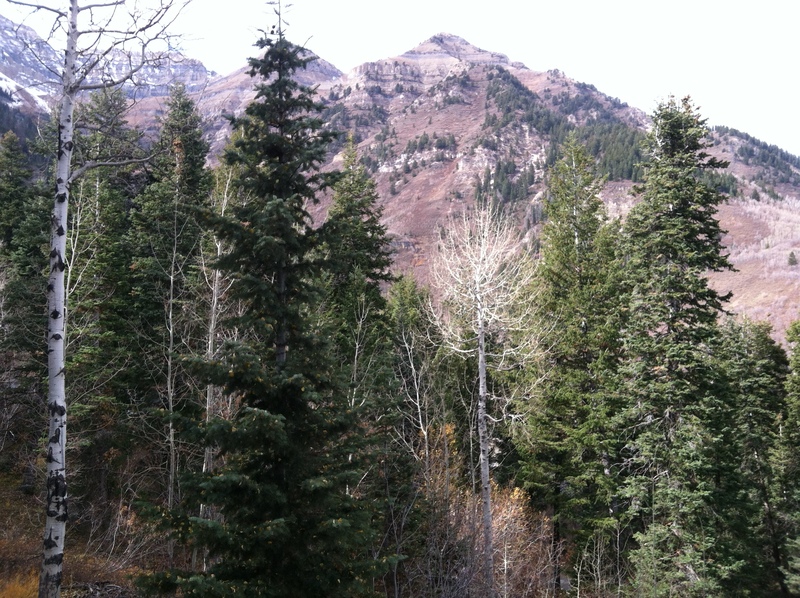 I decided to take a last Fall drive up to Sundance this afternoon to check on things at the cabin and to say goodbye to Fall there. 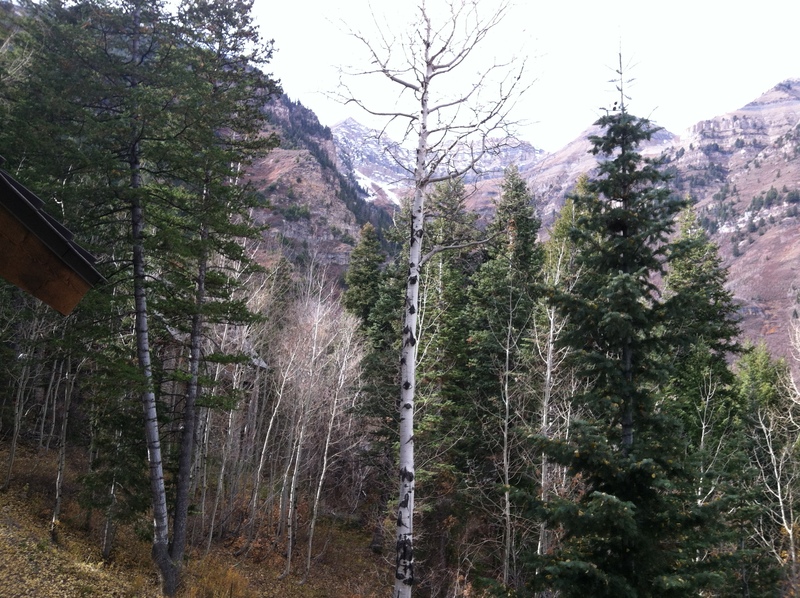 The Aspens are bare, the branches are free. 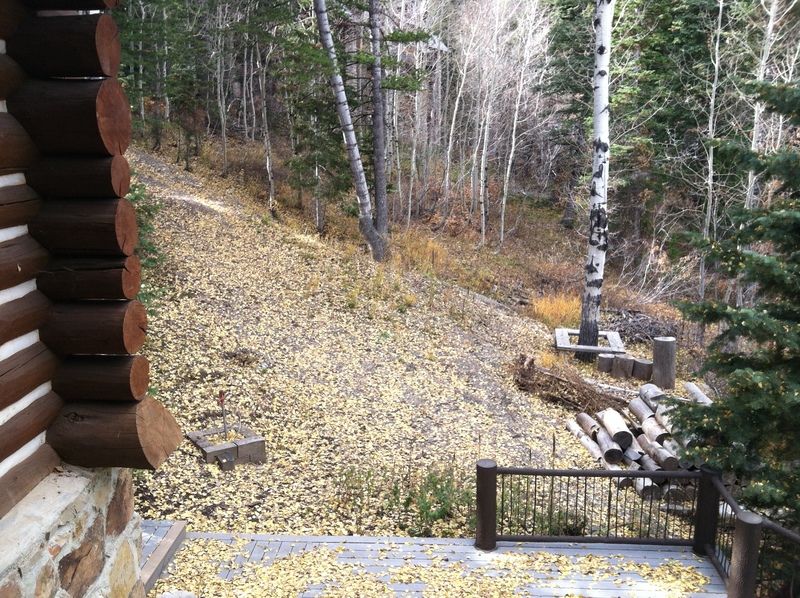 I sat for some time on the deck and watched and listened as the wind picked up the fallen leaves, swirling them into little flurries of gold and yellow and brown. 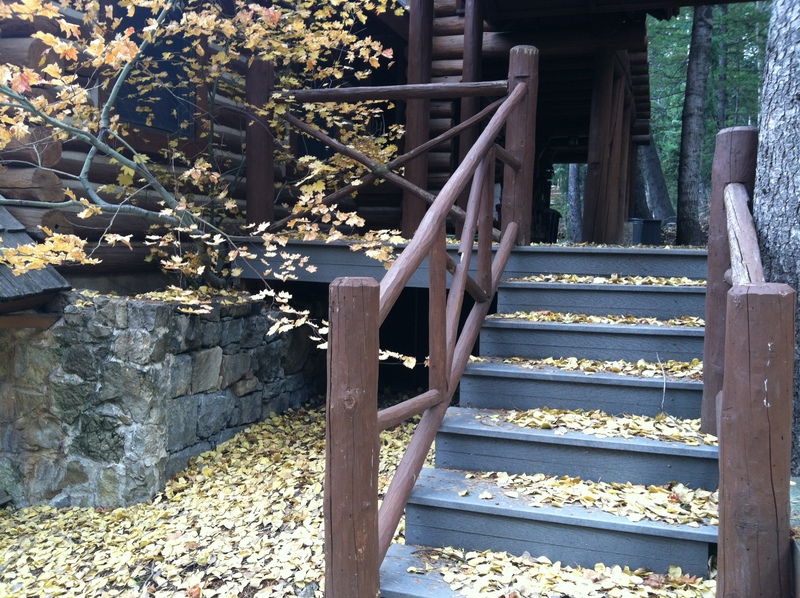 It’s beautiful to see the majestic pines decorated with Aspen leaves that have fallen onto their boughs. But the wind is whisking even those leaves away, down to the ground where they will rest before decomposing with the pine needles under the snow through the winter. The chipmunks and squirrels are scurrying to gather their hoards of pinecones for the coming months. The wind sings through the trees and you can hear the stream down below us, always constant in the background. I sat and thought about my life and the changing of seasons. 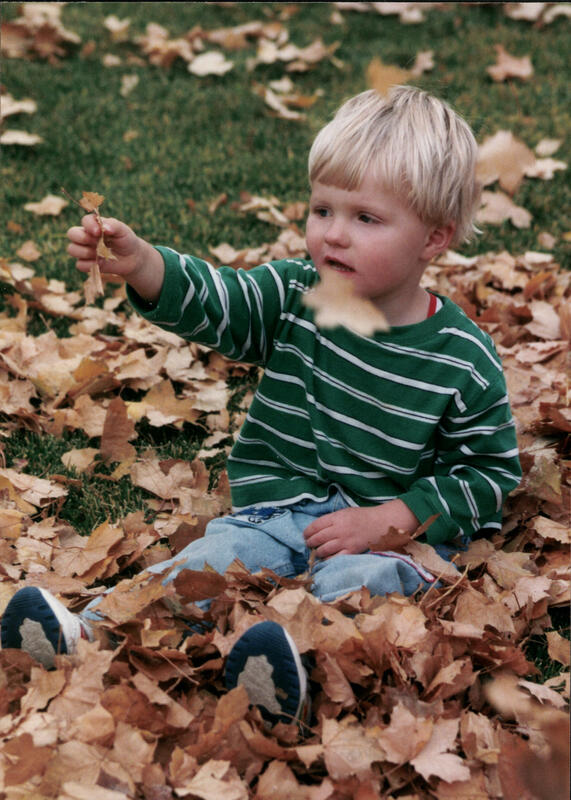 I remembered raking leaves in the Fall when the kids were small, making huge piles for them to jump into. I thought of taking Claire to dance lessons when she was little and the large parking lot there surrounded by Sycamore trees. We’d pile armloads of those large fallen leaves onto the hood of the car, then drive slowly around the parking lot, watching the leaves swirl off the windshield until we could see where we were going. 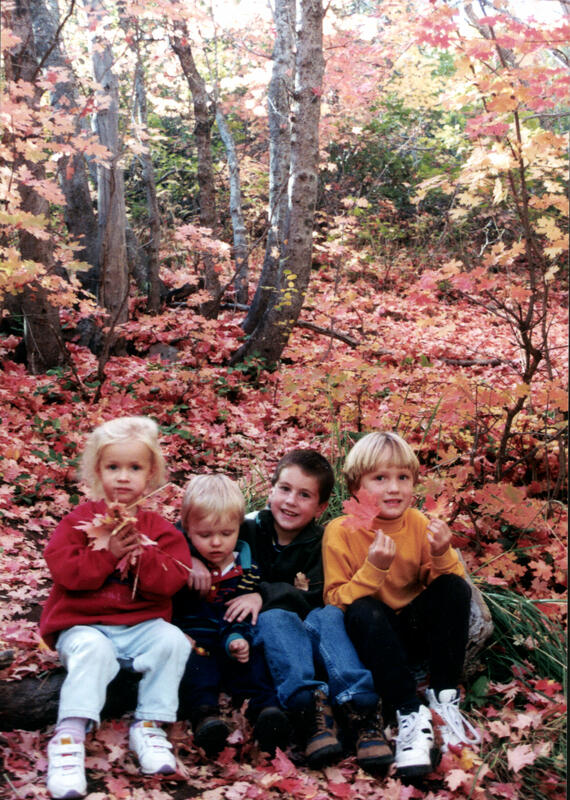 I thought about the boys, as they grew older, mowing the lawns for the last time, when there were more leaves than grass, and how the smell changed from grass clippings to mowed leaves. My mothering season is changing too. I don’t think the sad I’m feeling today is for these changes, although I feel like curling up with my childhood copies of Winnie the Pooh and getting lost in the Hundred Acre Wood with a child on my lap. I wish I could go back and re-live some of those precious days with children when they were little people discovering the wonder of this beautiful world. Our family’s world is changing. Claire is in Vienna experiencing a whole new world that I’m sure will change her future. Aaron is preparing to go to Chile soon, and Adam will be married in a couple of months. Seasons change. We can’t stop the leaves from falling. We can’t hold off the winter months. We must step into them bravely and with confidence. But even then, I need to stop and just sit sometimes and watch the leaves that are leaving and remember how things used to be. If ever there is tomorrow when we’re not together there is something you must always remember. You are braver than you believe, stronger than you seem, and smarter than you think. But the most important thing is, even if we’re apart. I’ll always be with you. I don’t mind the leaves that are leaving, it’s the leaves that are coming. Below–years gone by. . . .